Over the past week or so we’ve been introducing the exhibitors who’ll be staffing booths at the North Carolina Writers’ Network 2018 Spring Conference. The exhibit hall is a great opportunity to get a jump on your summer reading, buy some books and literary journals, and shop local. It’s also the ideal time to chat with the literary professionals at each table, who can offer up an insider’s perspective on the current state of books and the literary world at large. If you missed our first two posts, they’re here and here. Library Partners Press, the digital publishing imprint of Wake Forest University, aims to publish quality books (of any length and size, in both electronic and print-on-demand formats) created by Wake Forest University and North Carolina library patrons and friends. 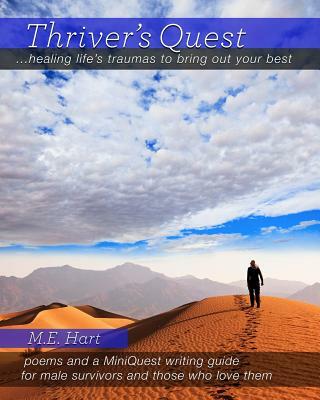 Recent titles include Thriver’s Quest by M.E. Hart. Part poetry, part memoir, part healing guide, Thriver’s Quest introduces the MiniQuest writing process—The Call, The Quest, and The Return—to help us tell our own stories, in our own way. A self-described “hybrid-indie” small press, LPP uses various print-on-demand and digital platforms to offer “publishing and distribution services to content creators looking to have their works collected and preserved and protected by libraries post-publication.” Authors submit potential projects to the press, which are screened by one or more members of the editorial board. 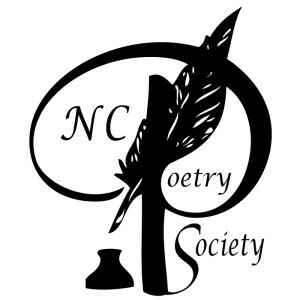 With more than 350 members from North Carolina and beyond, the NC Poetry Society is an all-volunteer organization devoted to poets and lovers of poetry. The Poetry Society holds regular meetings four times a year in Southern Pines at the Weymouth Center for the Arts and Humanities. In addition, NCPS sponsors annual contests for adults and students, which offer cash prizes and award certificates; the annual Poet Laureate Award, judged by the state’s poet laureate; the annual Brockman-Campbell Book Award, recognizing the best book published by a North Carolina poet; and the annual Lena M. Shull Book Award, selecting for publication the best full-length unpublished poetry manuscript by a poet living in North Carolina, where the winning manuscript is published by St. Andrews University Press, and the winning poet leads a workshop and gives a reading at Poetry Day Hickory in April. Membership is a steal at $30 a year ($10 for students). 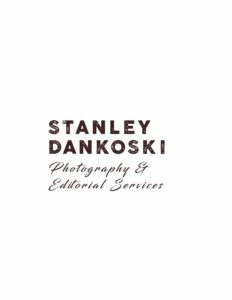 A longtime publisher of poetry and short fiction based in Winston-Salem, the Spring 2018 list for Press 53 is pretty exciting. To start things off, there’s a new poetry collection from NC Literary Hall of Fame inductee and current NC poet laureate Shelby Stephenson, Our World; plus additional poetry collections from beloved Tar Heel poets Michele Beadle, Mark Cox, Holly Iglesias, and more. On the fiction side, new story collections by Nathan Alling Long and Joseph Rein should be available for purchase at Spring Conference, with another, Collateral Damage by Kevin C. Jones, on the way. And that’s just the front list! The back list includes Taylor Brown, Terri Kirby Erickson, Gabrielle Brant Freeman, Marjorie Hudson, Steve Mitchell, Maura Way, and NC Literary Hall of Fame inductees Doris Betts, Kathryn Stripling Byer, John Ehle, Robert Morgan, and many more. Editor Kevin Morgan Watson will serve as a panelist for Slush Pile Live! at the NCWN 2018 Spring Conference. It’s a story that bears repeating: editor Jason T. Graves was sitting on one of the panels at Slush Pile Live! when an attendee approached him afterward and pitched her first novel. That attendee was NCWN member Paige L. Christie, and the manuscript she pitched became Draigon Weather, which has received high praise from Publisher’s Weekly and many others. The sequel, Wing Wind, is coming out any day! Other new titles include The Would-Be Virgin and other Romantic Tales by Susan Surman, who the Winston-Salem Journal described as writing with “authenticity, deep passion, and sly wit.” And Mouse by Richard Ford Burley tells the story of an unlikely protagonist tasked with stopping the apocolypse, which author Deb Loughea called a “clever and compelling mash-up of magical realism and fantasy.” Jason will once again serve as a Slush Pile Live! panelist at the NCWN 2018 Spring Conference. This was written by charles. Posted on Friday, April 13, 2018, at 10:27 am. Filed under Uncategorized. Tagged aylor Brown, Doris Betts, gabrielle brant freeman, Holly Iglesias, jason graves, john ehle, Joseph Rein, Kathryn Stripling Byer, Kevin C. Jones, kevin morgan watson, library partners press, m.e. hart, Marjorie Hudson, mark cox, maura way, Michele Beadle, Nathan Alling Long, NC Poetry Society, Paige L. Christie, Press 53, prospective press, richard ford burley, Robert Morgan, Shelby Stephenson, Steve Mitchell, susan surman, Terri Kirby Erickson. Bookmark the permalink. Follow comments here with the RSS feed. Both comments and trackbacks are currently closed.